Given the uncertainty in the world economy – various countries lurching through debt crises, rising interest rates, increasing costs of doing business – it has become vital for companies to become more creative in their approach to business. 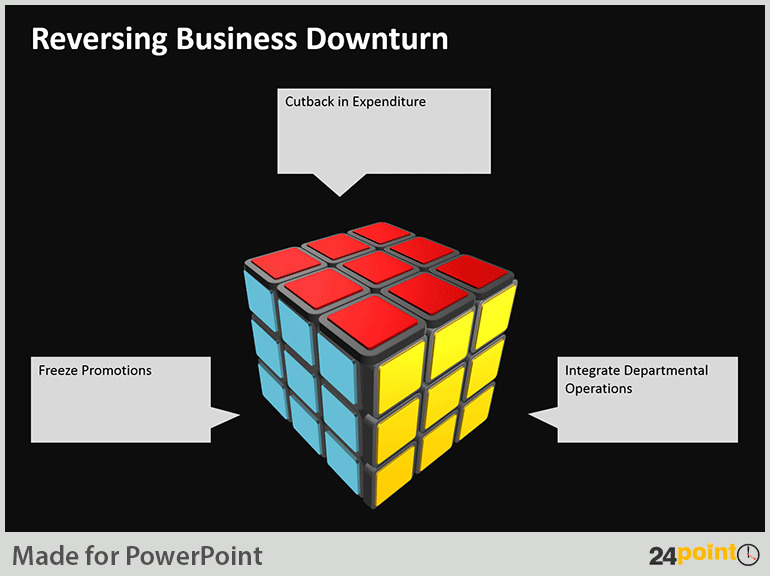 If you’re doing a PowerPoint presentation on new, creative ways to doing business in tough economic times, then you need the right visuals to impress your stakeholders. 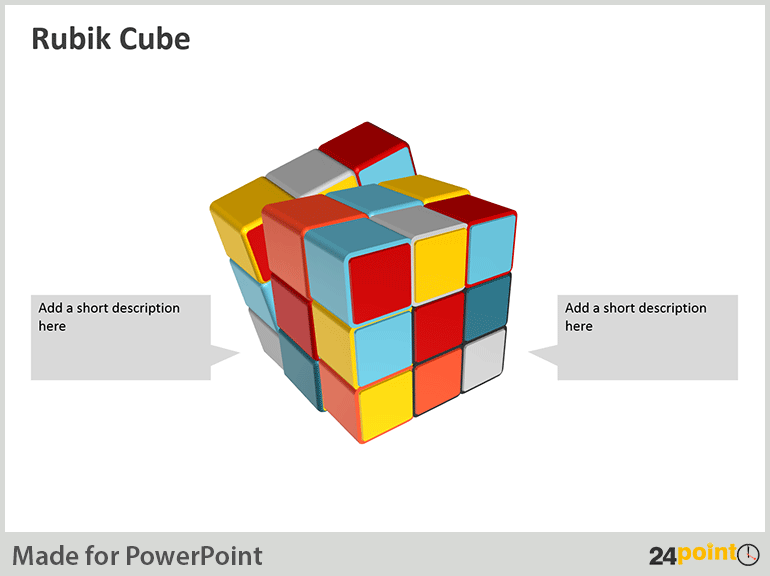 24point0’s illustrations of the iconic brain-teasing game, the Rubik’s Cube, would be a fun, attention catching way of discussing viable business solutions. 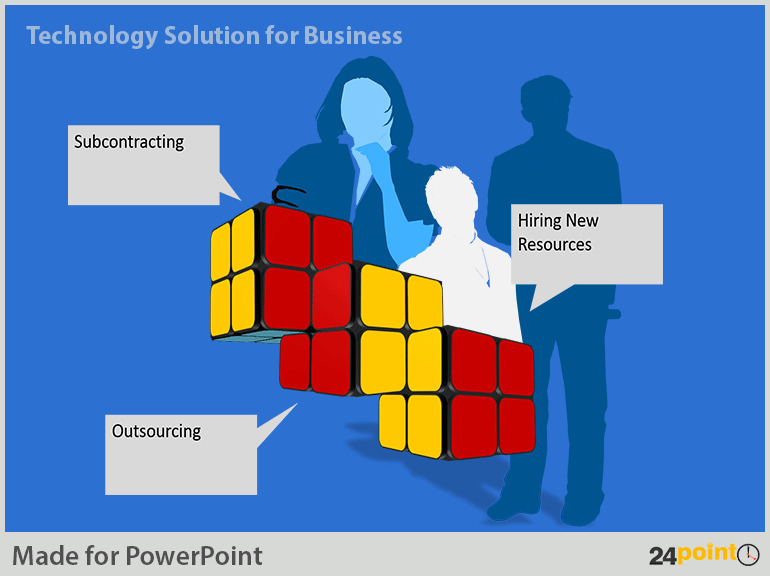 The above slide also includes graphics from 24point0‘s editable Silhouettes and Technology graphics deck. 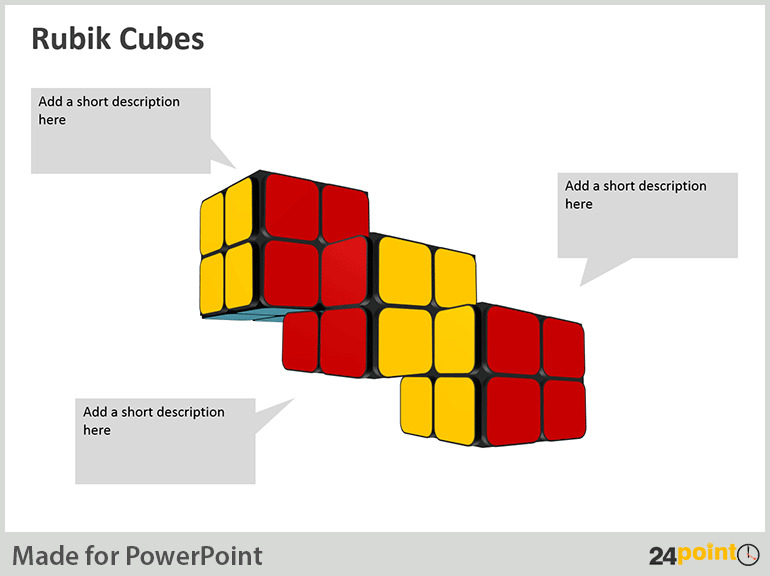 The editable Rubik’s Cube illustration deck is editable in terms of color, fonts and scale – as has been shown in the above examples. 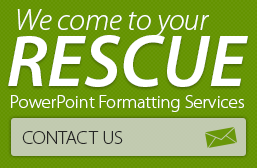 Are you looking for creative ways to express your business strategies in this economy? 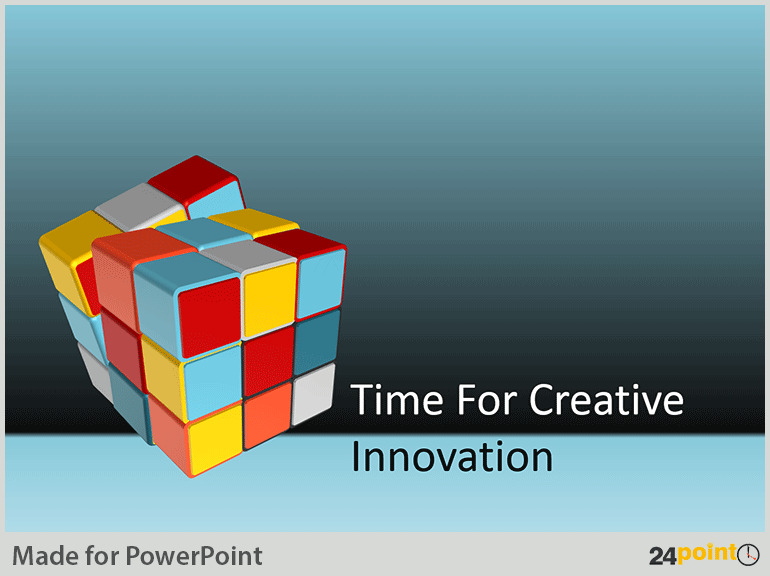 Then use 24point0’s editable Rubik’s Cube illustrations in your PowerPoint presentation to win over important stakeholders or potential investors. 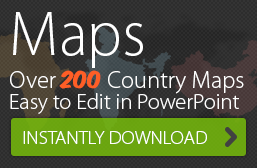 Buy and download it today!